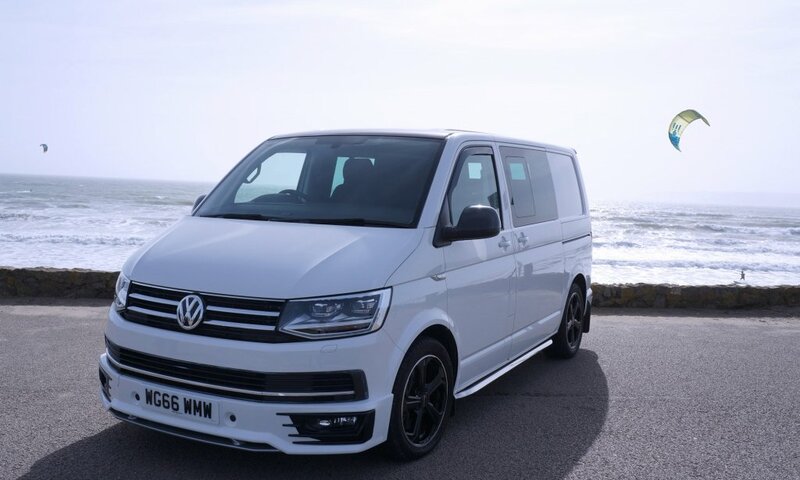 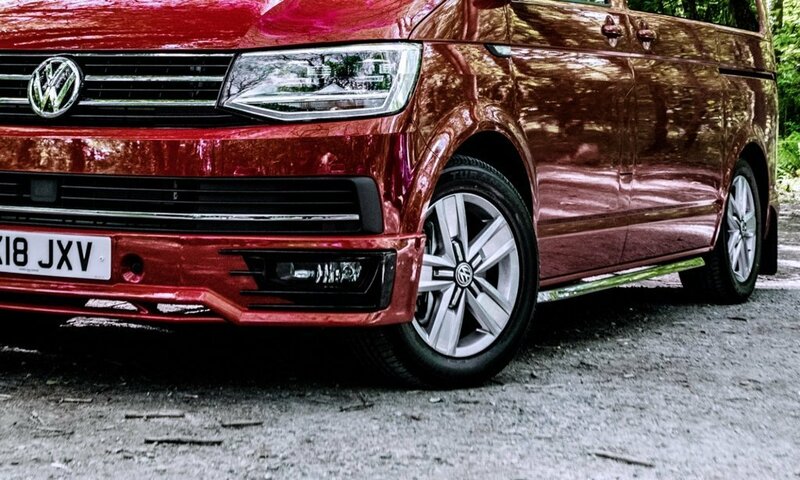 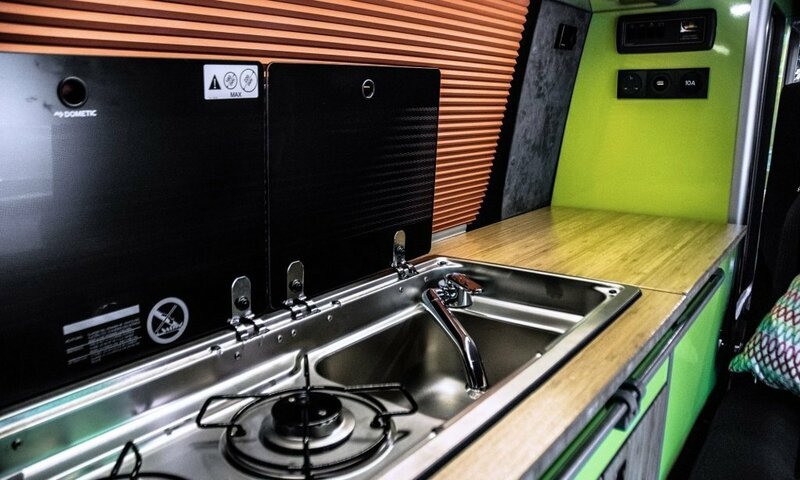 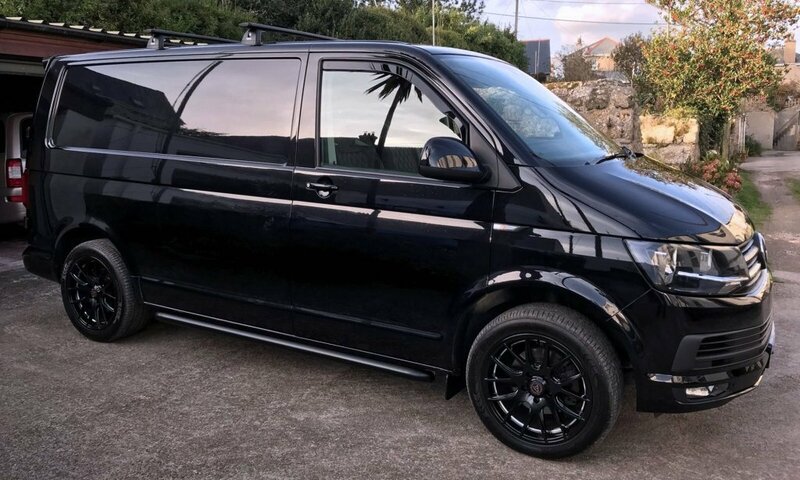 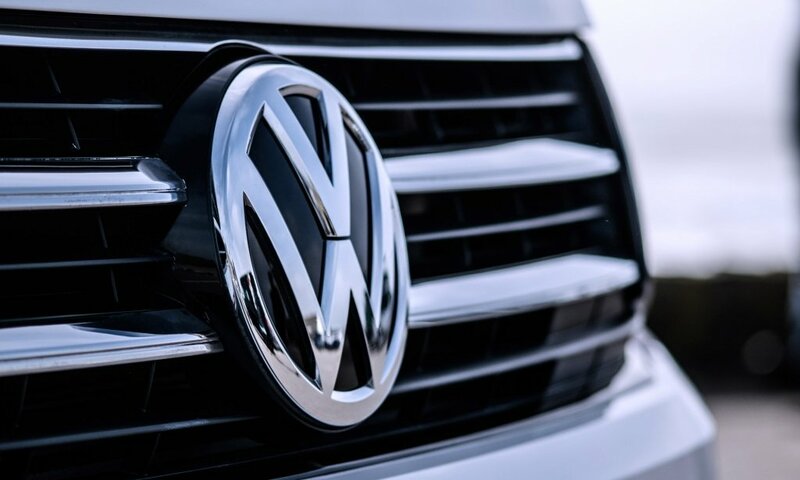 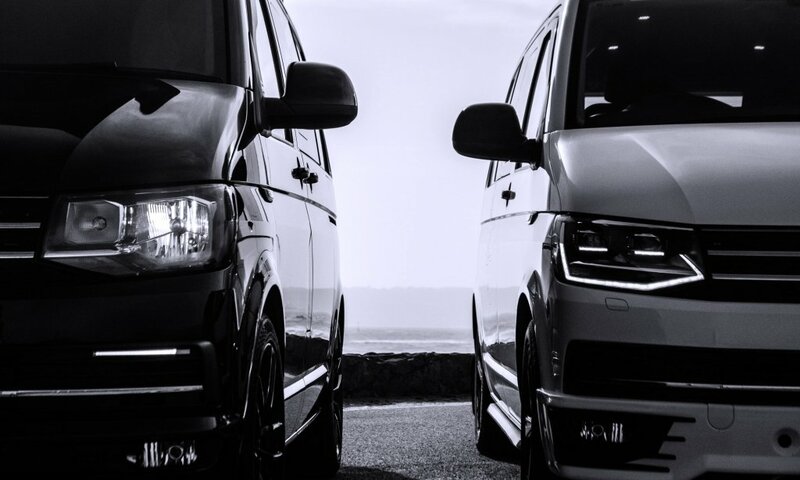 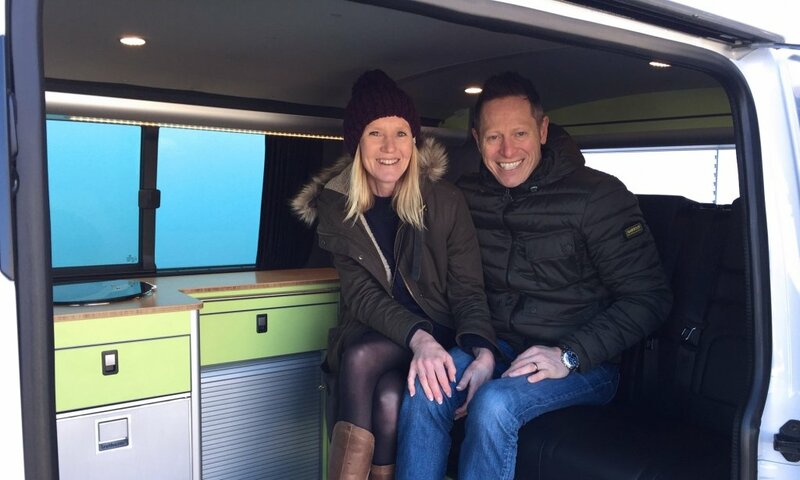 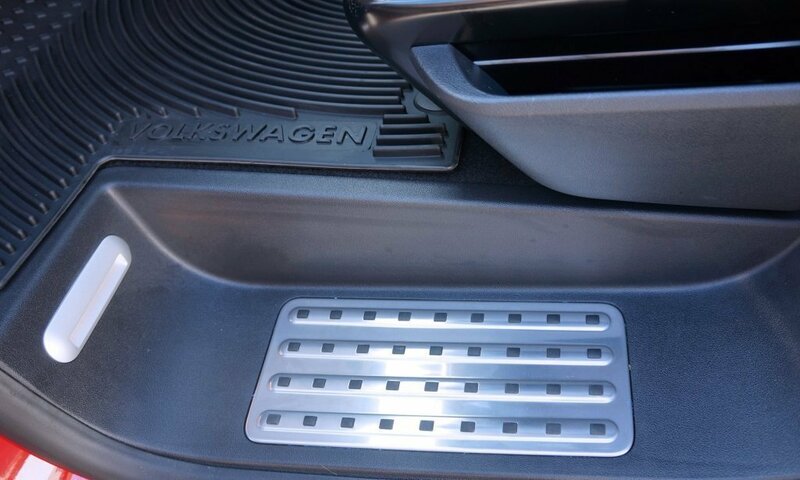 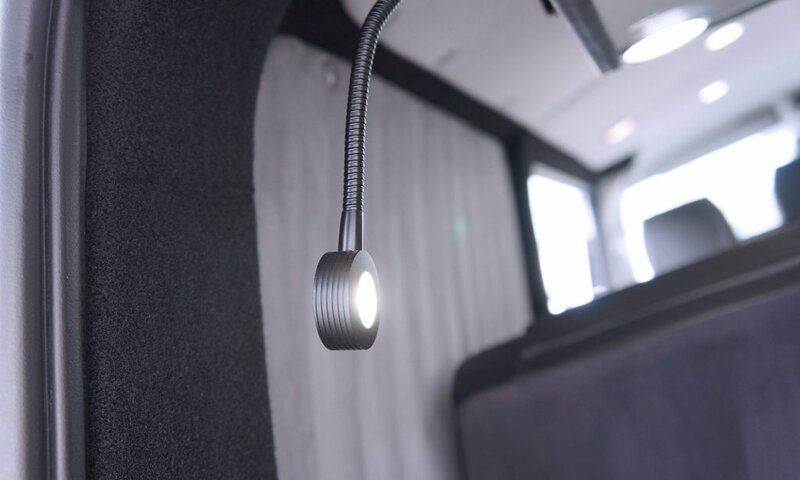 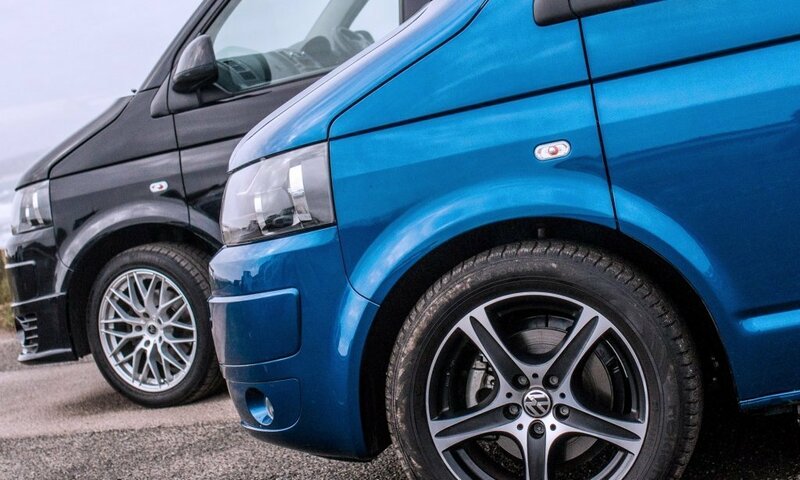 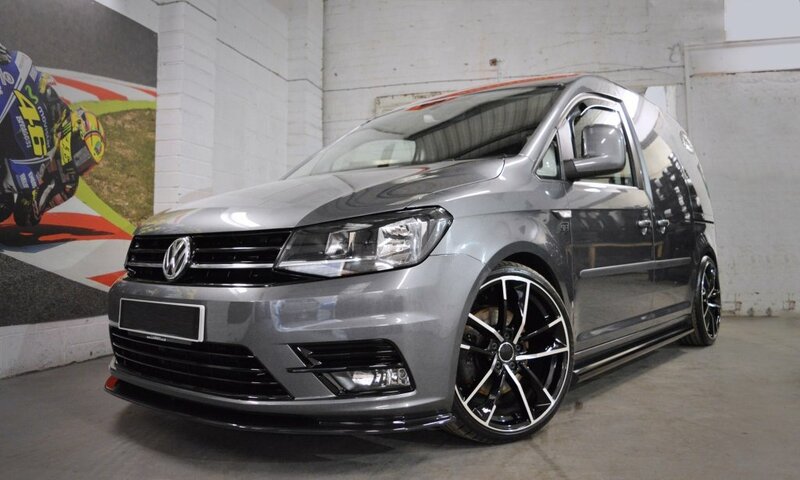 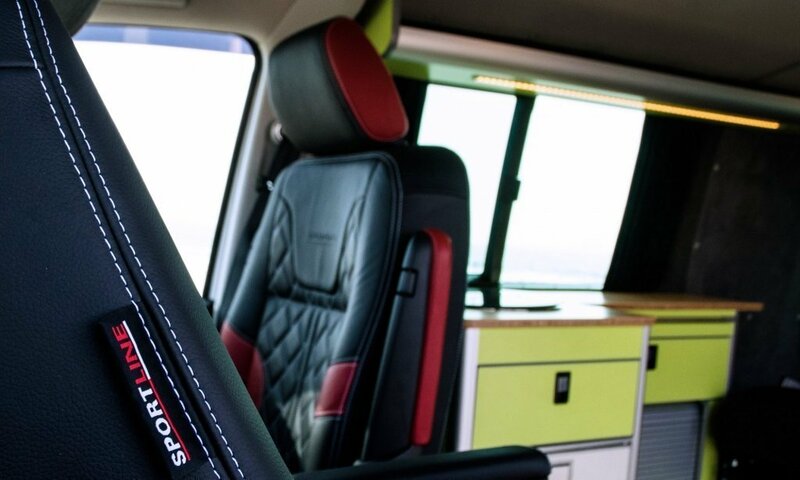 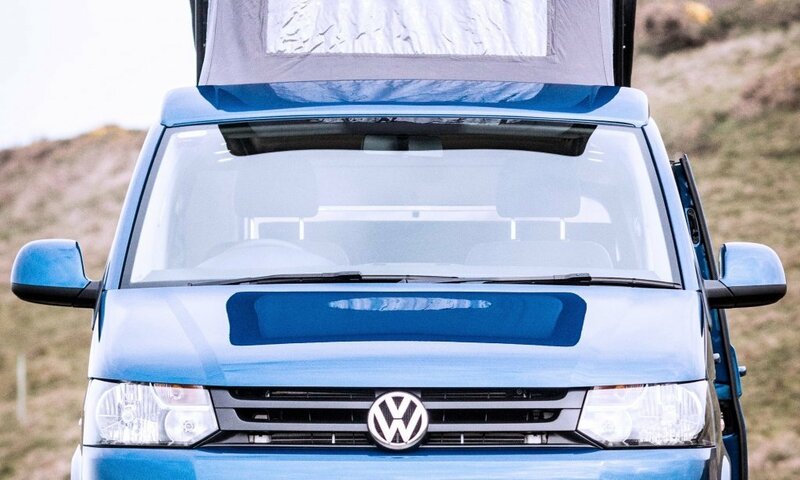 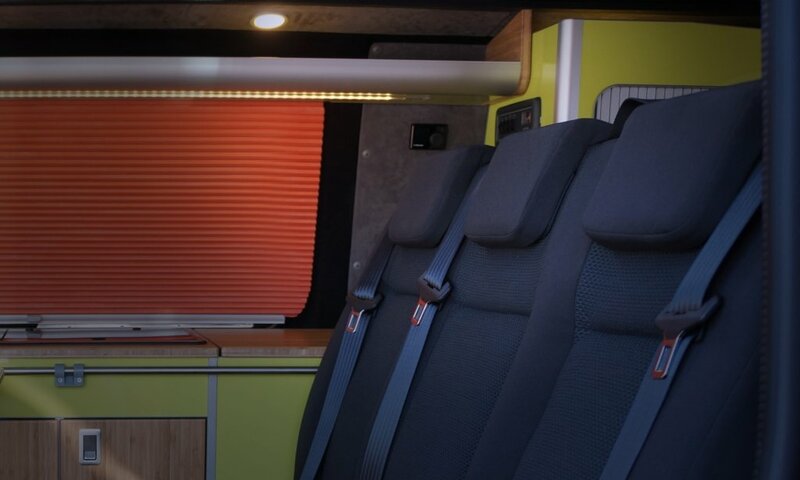 The brief was to add a touch luxury, style and comfort in Alex’s Volkswagen Transporter T6 while maintaining the van’s purpose of being a working vehicle. 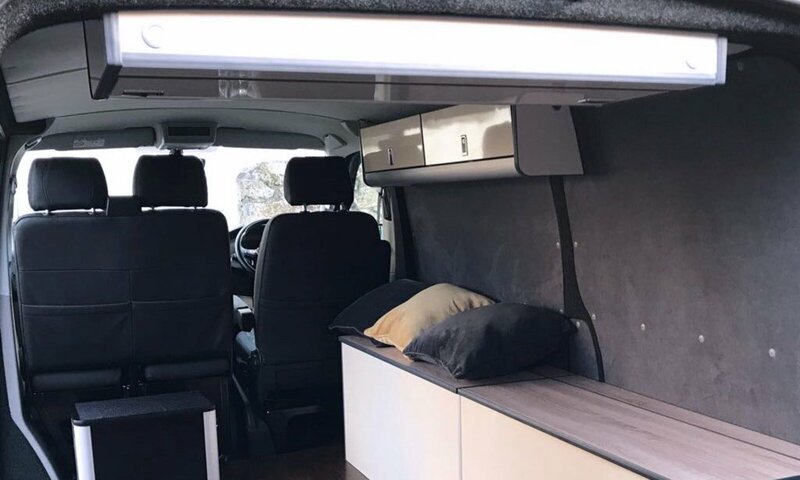 The bulkhead was removed and the van stripped down to install a full carpet lining, insulation and soundproofing package to the van. 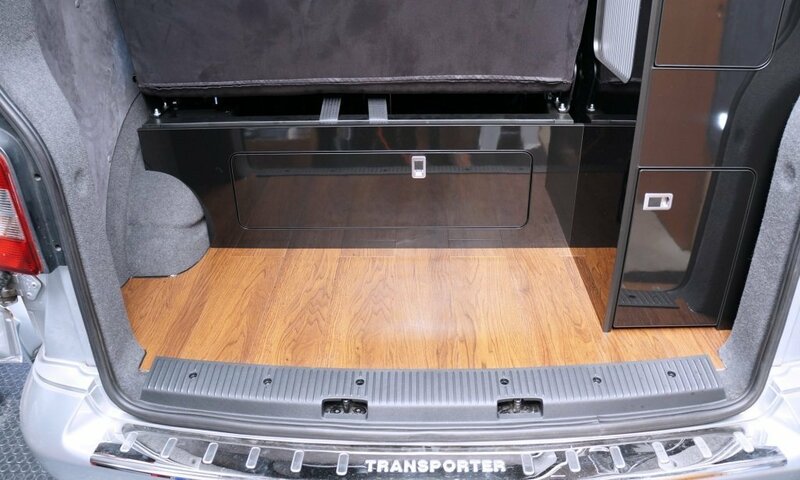 The customer from Penzance also opted for the luxurious Amtico Access black walnut floor which was laid on a new 12mm ply floor. 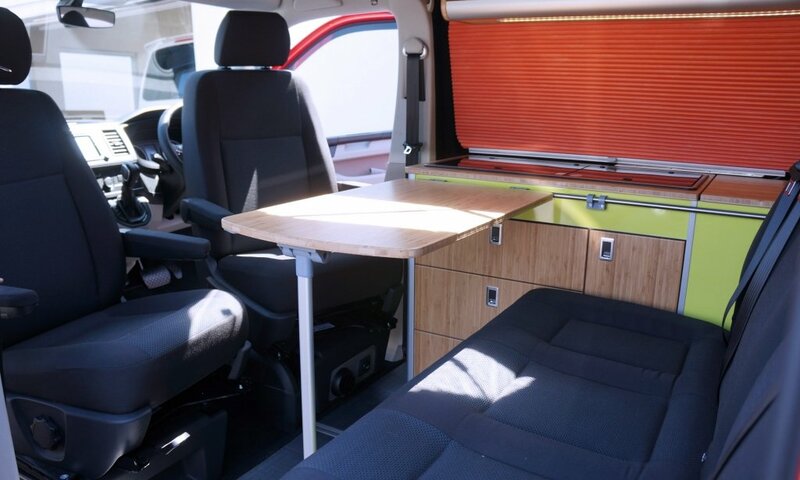 Storage was a big factor in this conversion project and four furniture boxes were made and installed, one of them being a custom storage box the length of his SWB van and made of gloss cream and light oak furniture board. 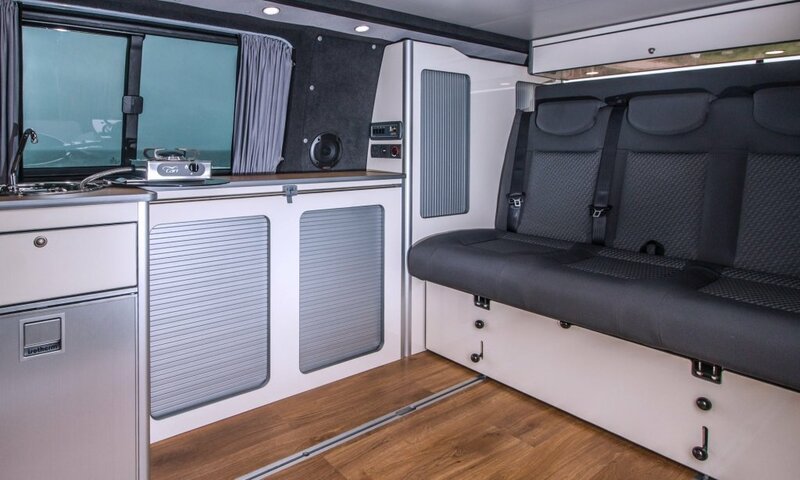 The other three boxes included a gloss black buddy box, a gloss cream overhead locker and a universal locker, also in gloss cream and finished with Evomatic catches and pop up coat hooks. 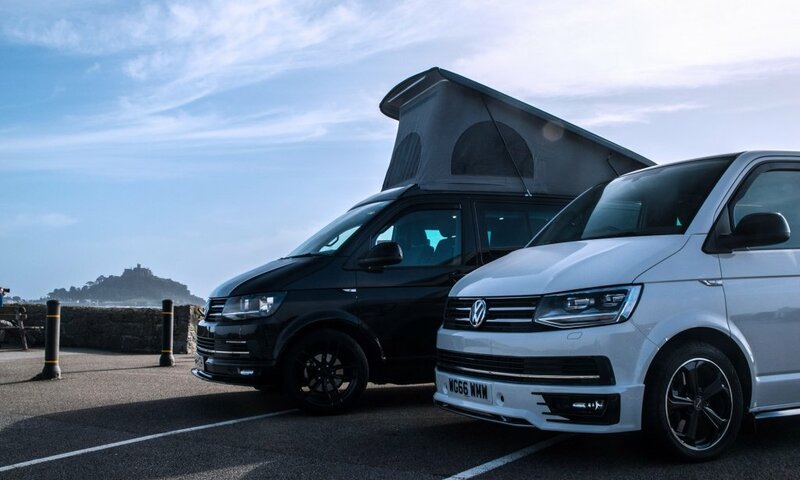 Externally Chilli Jam vans campervan conversion specialist fitted genuine VW sidebars in black, a VW rear spoiler in black, Heko wind deflectors, Volkswagen mud flaps, and headlight, side light and DRL bulb upgrade. 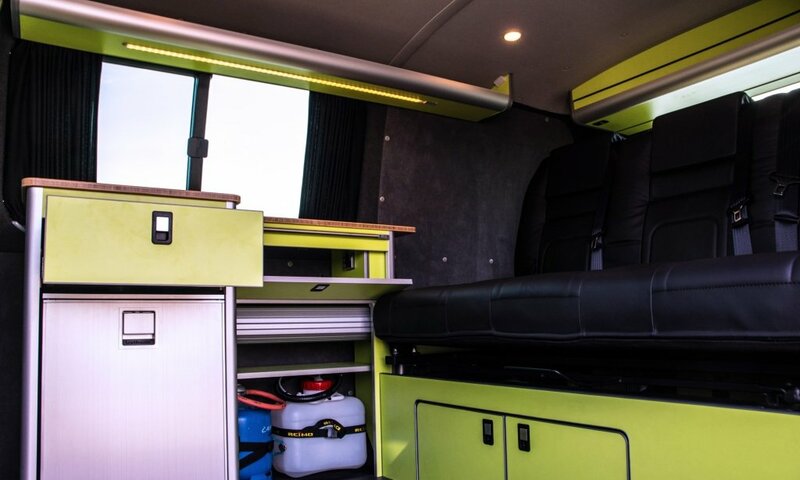 Most of the parts and accessories can be purchased from Chilli Jam Vans accessories and parts shop separately for any DIY projects – a fitting service is also available.